According to Sheriff’s Office Detectives, the preliminary investigation indicates that the residents of the home at McLemore heard a disturbance outside their home shortly before 11:30 p.m. Residents of the home, including a male in his late fifties and his elderly father, went out to the front yard to check on the disturbance. The homeowners were confronted by two male adults, both unknown to them. The residents sustained injuries as the confrontation escalated. During this time, the son shot at the two subjects, resulting in their deaths. An armed robbery attempt in Little Woods ended Monday night (April 27) with the robber being shot with his own gun, New Orleans police said. Police identified the suspected robber as 21-year-old Travis Stanley. According to preliminary information provided by NOPD, Stanley tried to rob a 25-year-old man around 9:50 p.m. in the 7700 block of Allison Road. The two men struggled, police said, and the 25-year-old managed to wrestle Stanley's gun away from him. WILMINGTON | The shooting death of a man Thursday on Castle Street was justified, according to the New Hanover County District Attorney's Office. "After a full review of the facts and circumstances surrounding the shooting death of Joshua Simpson … the District Attorney's office, in conjunction with the Wilmington Police Department, has determined that the shooting was justified by self-defense," District Attorney Ben David said in a news release issued Monday. One person was wounded early Sunday when the occupants of a car unleashed a volley of gunshots at revelers at a house party and a neighbor fired back at the fleeing vehicle, according to the Broward Sheriff's Office. Officers said the owner fired a warning shot after the suspects were in the house but no one was hit. Police arrested the suspects who were running out of the home when authorities arrived, 30-year-old Brian Olsen and 38-year-old Crystal Henard. Governor Haslam has reluctantly signed HB0995, which reduces the number of gun free zones in the state. Previous legislation had allowed local governments to ban guns from locally administered parks, if they posted prominent signs saying that guns were banned. HB 0995 removed that exception in the law, thereby allowing a limited ability to exercise second amendment rights on the public lands of locally administered parks. The history of the bill is rather interesting, in that Governor Haslam was against the bill before he was for it. He likely only signed the bill to avoid the embarrassment of a veto override. The bill was strongly supported in both the House and the Senate, with votes of 65 to 21 and 26 to 7, respectively. Those numbers are far more than enough to override a veto. Instead, the 2015 "parks" law generally removes local control over local parks. However, it preserved and perhaps worsened the school grounds "used" issue so that any park that is used by a school automatically morphs into a prohibited property. That school grounds morphing can result in a Class E felony conviction if a permit holder is in the park and knew or should have known that a school was using "the property." The TFA interpretation tracks what I have read in the bill(pdf). In addition, the bill requires that the signs stating that the parks are gun free zones stay up(pdf)! SECTION 4. No department of state government shall change, remove, or replace signs as a result of Sections 1 or 2 of this act prior to the time the signs are regularly scheduled to be changed, replaced, or removed or are required to be changed, replaced, or removed by any other law or due to destruction or theft; provided, that the general assembly may specifically provide funds for the purpose of removing or replacing signs in a general appropriations act. So, the gun free zones in parks are done away with, but the signs saying that they are gun free zones stay in place. In addition, if a school softball game is going on in the park that your are walking through, you are subject to arrest on a felony if the prosecutor decides that you "should have known" that it was a school event in progress. The same could well apply if a group of high school students was on a field trip and approached you! The law contains dangerous traps for peaceable people exercising their second amendment rights. A much better bill might have be passed if the legislature did not have to worry about a veto by Governor Haslam. It is interesting to note that Governor Haslam promised to sign a constitutional carry bill four years ago, as shown in this video. He was clear that he would sign it if passed, but did not say that he would support passage. One of The Hartford Courant’s resident haters is at it again, relying on his longtime M.O. of insulting Connecticut gun rights advocates. Cartoonist Bob Englehart’s depiction of a Connecticut Citizen Defense League member as a slob and a moron recalls techniques that have been used in the past to gin up contempt for groups by portraying them as repellent stereotypes. Nobody thinks anything he proposes will do that, or that such goals are what he’s really after do they? Because Englehart has already revealed his end game. If it were up to him, people in Montana, Nevada and Wyoming would not be able to claim a right to own a Henry or a Colt. But don’t take my word for it -- take his. “The only way to stop this madness is to repeal the Second Amendment,” he advocated in one post. “Repeal the Second Amendment ... and the gun problem will be solved,” he proclaimed in another. New Hampshire has always been a state that seemed likely to be one of the first to pass constitutional carry, which allows people who may legally own guns to carry them either openly or concealed without a permit. While attempts have been made in the past several years, various mishaps have resulted in no bill being passed. 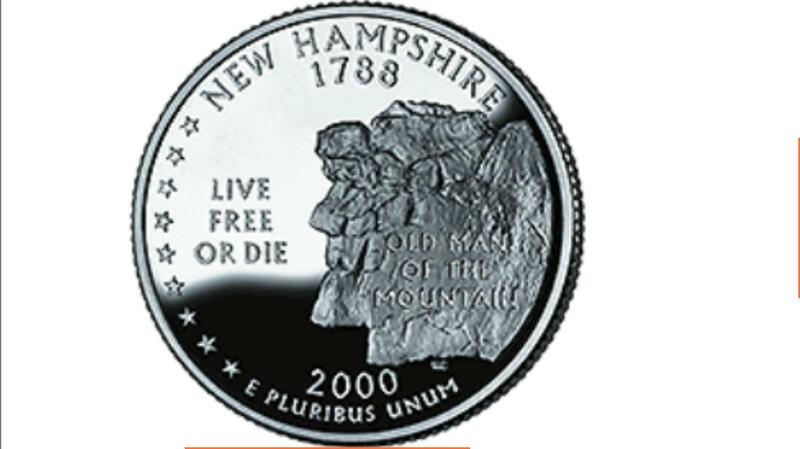 Sister state Vermont has the longest border with New Hampshire, and Vermont has had constitutional carry since 1791, and one of the lowest crime rates in the nation. This year House Bill 582 was killed in the criminal justice committee, and it looked as if constitutional carry reform would take at least another year. I. Increases the length of time for which a license to carry a pistol or revolver is valid. II. Allows a person to carry a loaded, concealed pistol or revolver without a license unless such person is otherwise prohibited by New Hampshire statute. III. Requires the director of the division of state police to negotiate and enter into agreements with other jurisdictions to recognize in those jurisdictions the validity of the license to carry issued in this state. IV. Repeals the requirement to obtain a license to carry a concealed pistol or revolver. "I support the Second Amendment," she told reporters last week, "but (this bill) raises some serious issues." Hassan is a little shy about being a Democrat. Her Governor's website does not identify her party affiliation. The wikipedia article reveals that she is a lifelong Democrat from a lifelong Democrat family. However, Hassan seems to be a practical politician. If she gets lots of grassroots pressure to sign the bill, she just might do so. It does not seem likley that she will, and the majority in the Senate is just short of being able to override a veto. If she vetoes the bill, it will be clear that she is a supporter of the second amendment in name only. Perhaps showing voters that side of her is one of the major purposes of this bill. Local ACLU chapters do not necessarily follow national policy. NORTH SMITHFIELD – The ACLU today filed a lawsuit in federal district court on behalf of a North Smithfield resident, seeking the return of weapons that were seized from him over six years ago by the local police department and which the department still refuses to return to him. The lawsuit, filed by RI ACLU volunteer attorney Thomas W. Lyons on behalf of Jason Richer, argues that the North Smithfield Police Department violated his right to due process and his right to keep and bear arms by retaining his property without just cause. The ACLU successfully filed a similar lawsuit against the Cranston Police Department three years ago. The man will find it easier to live in the aftermath, than if he had done nothing. According to police, the couple's ordeal began early Saturday when they went downstairs for their morning coffee to find Kahle in the kitchen. He pulled a gun and ordered them into the living room and demanded money and food. He held them for about 20 minutes while they "pleaded with him to take their money and food and leave," police said in a statement. Kahle took cash, credit cards and food before leaving, police said, but once he was out of the house the male resident grabbed his gun and confronted Kahle in the driveway while the female called police. An off-duty Philadelphia police officer fired shots at a man who tried to rob him while the officer was walking his dog in the city's Overbrook section. Philadelphia police said the incident happened shortly after 11:45 p.m. Wednesday on the 5800 block of Malvern Avenue. When the assailant brandished a handgun, the officer, who was dressed in civilian clothing, drew his own gun and fired a number of rounds, police said. Rutter died Feb. 20 after his son shot him with a rifle. Carter County Deputy Curtis Robinett testified that Cornman's mother tried to intervene in a dispute between father and son. Cornman told authorities that Rutter grabbed a pistol and held it to Tammy Cornman's head. Marcus Cornman then fatally shot his father. Police say the owner of the home where the burglary was taking place, returned home and noticed that someone had forced their way into the residence. The homeowner entered the home and noticed two suspects inside the home who were attempting to leave. Police say the homeowner then fired a shot at the suspects. Believing someone had entered the house, the couple hid in a closet. The burglar, who police say is the woman's ex-boyfriend, found the pair in the closet. The robber, according to police, entered the Wireless phone store in the 2000 block of West Galbraith Road at about 9 p.m., and threatened the clerk with a firearm with intention to rob the store. When the suspect pointed his gun at one of the clerks, the clerk retrieved his own gun and shot one round at the suspect, police said. MEMPHIS, Tenn. – A woman is not facing charges after police say she shot her alleged abusive ex-boyfriend during an attack. The ex-boyfriend is in critical condition. “He beat me twice. Three times, it’s a wrap. I don’t want to go through that no more,” said Moody. Police say the 23-year-old was walking out her apartment early Saturday morning when her ex-boyfriend rushed into the home and assaulted her. Moody grabbed her gun and shot him in self-defense. Constitutional carry is gaining momentum in the states. Kansas recently passed legislation making it the sixth state to have constitutional carry (where people who may legally own guns have the right to carry them openly or concealed). Mississippi passed a bill characterized as 90% constitutional carry, and a bill is pending in Maine that has majority support in the legislature, and likely support of the governor. Please join me in saying thank you to the 90 members of the South Carolina House of Representatives who today, by a vote of 90 to 18, gave second reading to the Clemmons, Yow, Hixon South Carolina Second Amendment Empowerment Act (H3025), with an amendment by Rep Mike Pitts and myself to authorize permitless concealed carry by every South Carolinian who can legally purchase a handgun! The bill, as now amended, allows SC CWP holders to carry in 27 states (instead of the current 20) Including GA and opens the door to recognizing every state's CWP. Additionally, the amendment authorizes every law abiding South Carolinian who can legally purchase a firearm, to carry it concealed without a permit! The bill awaits third reading in the House next Tuesday and then passes to the Senate for consideration. Thank you to every member of the SC House who supports the Second Amendment! "(A) It is unlawful for anyone to carry about the person any handgun, whether concealed or not, except as follows, unless otherwise specifically prohibited by law: with the intent to use the handgun unlawfully against another person. The intent to use a handgun unlawfully against another person shall not be inferred from the mere possession, carrying, or concealment of the handgun, whether it is loaded or unloaded. COLUMBIA, SC — S.C. Gov. Nikki Haley said Tuesday that she backs a proposal that would make it legal for most South Carolinians to carry guns – concealed or in the open – without a permit or the training that the state currently requires. "You can carry a weapon openly if this bill is adopted and I'm offended by that," said committee chair Sen. Larry Martin (R-Pickens). If the bill goes to Martin's committee, and he strips out the permitless carry provision, and then passes the bill, it would go to the House for concurrence; if the House disagrees, then the bill could go to a conference committee. Members of the conference committee are appointed by the speaker of the House to a committee for the entire biennium. I do not know if the same applies to the Senate. If the Senate insists upon its amendment, a message is sent to the House listing the names of three Senators appointed to a conference committee. The Speaker of the House then appoints three members of the House to a conference committee. The six members meet and try to reach an agreement. If they agree, their report is sent to both bodies for adoption. This would allow the legislature to 'work around' a recalcitrant committee chairman. That could happen if the leaders of the Senate and House both support the bill. If the bill passes and is signed into law, it will create a new category of state; one where you do not need a permit to carry concealed, but are not allowed to carry openly. The out-numbered man was elderly so Gene felt obligated to get involved – he drew his gun. “They (the attackers) kept yelling this isn’t your fight, you need to walk away you need to put the gun down,” Gene said. While all that was happening, shoppers pulled out their cell phones to call police and record the encounter. By the time police arrived, the attackers and the victim took off. Turns out they were all related, police say the man was an uncle being assaulted by his nephew. Many shoppers interviewed after the incident had opinions about Gene’s actions. “I would have done the same thing,” said one customer. “The guy did the right thing,” said another shopper. GRAND RAPIDS TOWNSHIP, MI -- An employee of Juhas & Sullivan Jewelry fired one shot after three armed men dressed in black tried to rob the store. The men fled the store and there are no reports of injuries. 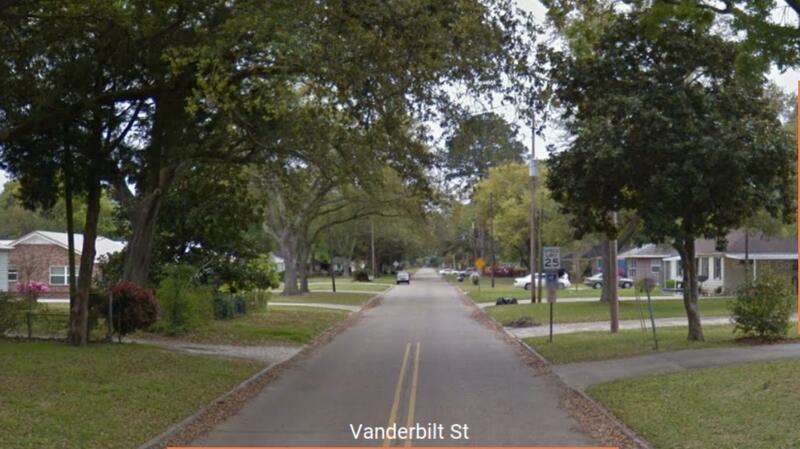 Lake Charles Police responded to a prowler call in the 3700 block of Vanderbilt Street. While on the way to that call, Officers were advised that a shot was fired at the same location. When officers arrived, they discovered that a homeowner had encountered a subject running from a neighbor’s back yard. The male ran toward the homeowner who then fired one shot, striking the subject in the leg. The male fled the scene prior to officer’s arrival. While checking the area, officer’s discovered that the subject burglarized three separate homes and dropped a bag that contained property from the burglaries. After fleeing from the scene, the subject entered a vacant home on Yale Street. After leaving that location, he walked to the area of California Street where he was apprehended. Only a small number of criminals are required to commit a large number of crimes. Reduce the number of criminals, and the number of crimes goes down. It is not a hard concept to understand. Burglars are seldom caught in the act by police. There are simply not enough police to do so. Burglars are much more likely to be surprised by a homeowner or neighbor. Most burglars are young males. In this case the suspect is a juvenile. They can be particularly dangerous, as they may not have yet learned how little they need fear the criminal justice system. The incident happened Thursday afternoon at Beasley's Power Equipment on Highway 16 when a man ran out of the store with an expensive chainsaw. The man reportedly got into a vehicle and started driving away. Police said the clerk ran out of the store after the man and fired two shots at the vehicle. One of those shots hit the driver of the car in the head. ARLINGTON — A suspected burglar was shot to death by a homeowner Thursday afternoon, police said. Just after 4 p.m., police responded to a call at a home on the 900 block of Highcrest Drive in Arlington. The homeowner told police he heard a loud noise coming from the back of the home and found two men who had broken into the house. A clerk at a gas station handed over cash to two robbers Tuesday night, but then pulled his own gun and exchanged gunfire with one of the robbers, police said. The armed robber was critically injured, police said. The clerk was not hurt. Mckenzie, we’re told is the man who stormed into the cashier’s box at the Fast Trac 2 convenience store on Martin Luther King at Selinsky April 7th. He’s fended off by the cashier, the cashier’s father who is armed with a shotgun that never goes off, and a good Samaritan who springs to action. “It’s kind of nice actually a good Samaritan comes in and helps out,” said Wendell Arolfo. Over the past decade, there have been two reports of open carriers being attacked. In one case, the attacker tried to grab the openly carried pistol; in the other case, the reason for the attack is unknown. Both attacks failed. There have been two other reports of open carriers having their firearm stolen. One of those cases was in an area where an openly carried firearm was required to be unloaded. It is more likely for concealed carriers to be attacked, because the attackers do not know that they are armed. The vast majority of criminals do not want to attack an armed person. Sometimes the attacks fail, sometimes they succeed. There are advantages and disadvantages to both concealed carry and open carry; it is foolish to claim that one or the other is "best" all the time. I carry both ways, as the purpose and circumstances seem best to me. I like to keep options. Here is the latest likely instance of a concealed carrier being attacked and his gun stolen. On 12 April, 2015, there was another attack on an likely concealed carrier. 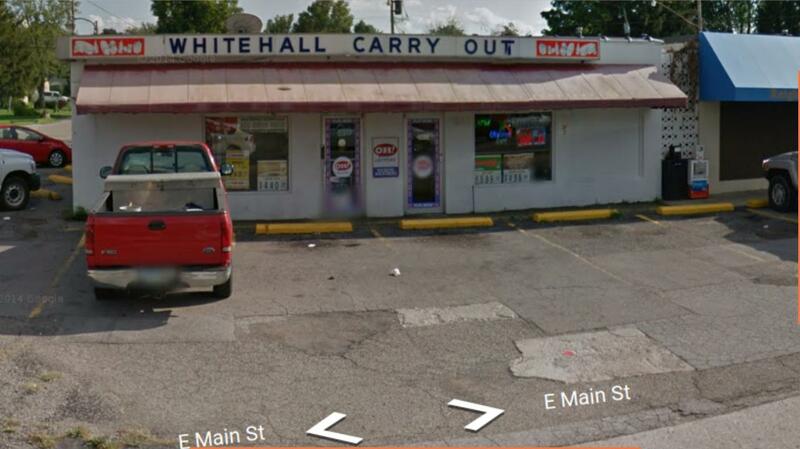 It occurred at the Whitehall Carry Out in Whitehall, Ohio. A man who had a firearm in a holster was robbed at gunpoint by two men who had asked him for change before he entered a store to buy lottery tickets. When he exited the store, they accosted him at gunpoint. It is clear that the robbers were reluctant to shoot, or that the firearm that they used was either non-functional or a fake. A significant percentage of criminals' guns are non-functional. While no mention was made of a concealed carry weapons permit, it seems likely that the pistol was being carried concealed. It is rare to see an open carrier that does not have a retention system on their holsters, while it is common for concealed carriers to carry inside the waistband holsters with no retention system. The report reinforces the wisdom of having a retention system of some sort on a firearm holster, if simply for retaining the pistol during a fall or violent movements, such as may occur in an accident or during exercise. Retention during a fight is even more important. Alert readers are asked to report any more details of this event that they may come across. Police said the victim paused at a green light to let traffic go by, and Garcia got angry and yelled at him. When the drivers ended up next to each other again, police said Garcia pulled out a rifle. "For someone to pull out a rifle and potentially take someone's life over not going fast enough, it is very worrisome for us," Lt. Andrea Dobyns said. Police said the victim admitted that he also pulled out a gun to defend himself. No shots were fired. Borcher acted in self defense, according to LCSO's investigation, when she was confronted that night by Helms, her husband, who was in a rage. Borcher told authorities she was in fear for her life during the altercation. The sheriff's office says that according to the SAO'S finding, Borcher was justified and acted within the scope of the law in using deadly force to defend herself. Joe Hicks knew something was wrong. He called his neighbor to ask if anyone should be at his house. "He said he'd be there in a minute and he was," said Hicks. 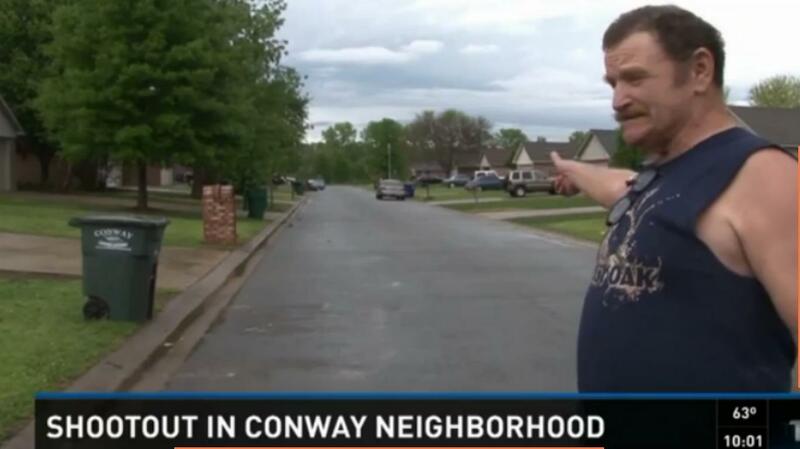 When the homeowner arrived, he confronted the two men. Police say the he fired two warning shots. One of suspects was holding his one year old son, using him as a shield. Hicks said, "He started running, he had a wrap down low. I had no idea it was a baby." After Clippinger’s vehicle was tapped from behind, it stalled and he was forced to pull over. Deputies said Caudle then fired shots into Clippinger’s vehicle, so he returned fired at Caudle, hitting him at least once. Caudle then turned his vehicle around and headed back towards Clarksville. He made it less than a half-mile before pulling over near Dean Road, where he fell out of the car. LPD said the woman, 34, was shot in early April when she broke into a home in the 3100 block of San Luis Street after hearing that her boyfriend was with another woman. After further investigation, police say they learned Robert Johnson and 20-year-old Tevon Johnson had actually initiated an argument with another man that police are calling the victim. When that man left, Johnson and Johnson followed him to his home at Ashton Park Apartments. That's when police say Tevon Johnson pulled a gun and started shooting at the victim. Investigators say the victim pulled a gun and returned fire, and in the ensuing fire fight, Robert Johnson was shot and killed. But the 74-year-old grandmother had an option: An NAA Guardian that she had decided to carry with her that day. The pistol is clearly an earlier model of the NAA Guardian, a well made pistol designed for concealed carry and self defense. This one looks like a .32, but they are made in four calibers. The event is the most common sort of self defense uses of a gun. A criminal attempts to violate someones rights. The victim produces a gun. The criminal runs off. No one is shot. What is remarkable about this event is that it was publicized by a local television station, an NBC affiliate, no less. A few years ago, this sort of event would never have been aired. We are not told if Jewell Turner had a Concealed Handgun License. It does not matter. Texas liberalized their car carry law a few years ago, one of the incremental improvements in firearms law that does not make the national news, but can make large differences in peoples lives. Jewell did not need a concealed handgun license to carry in her car. The social climate has changed in the last 20 years. Jewell is now recognized as having done a social good by stopping a crime. She can be proud of her actions, instead of worrying that she will be charged with the illegal carry of a gun, and have to spend much of her retirement money to defend herself from an anti self-defense prosecutor. So the self defense action is reported to the police, and the local television station tells the story. Self defense actions such as this have always been common in the United States, but people were afraid to report them when the demonization of gun ownership was at its height. The fact that they are now being told shows that second amendment supporters have triumphed over the disarmists who say that such events never happen. The old media is no longer able to spike stories such as this. This is why attitudes in the country have changed, and a majority now say that protecting second amendment rights is more important than restricting peoples freedom to protect themselves. When the disarmists raise awareness of the issue of the right to keep and bear arms, some people investigate, learn the truth, and are converted into second amendment supporters. It is a ratcheting effect. Once a person has "taken the red pill" they do not go back to supporting citizen disarmament. It does not work in the other direction. You do not see second amendment supporters becoming disarmists. He discovered the truck was loaded with stolen property, matresses, fixtures- even a kitchen sink. This fed up crime fighter pulled the 45 from his pickup. Alvin held the alleged thief until deputies arrived. Authorities applaud his bravery and willingness to get involved. Alvin's father said that he was very proud of his son, and gave me a phone number to contact him. I was interested because the story mentioned that this was the second time in a few weeks where an armed Alvin Cleere had helped to capture criminals. In both break ins, the suspects were wanted on outstanding warrants. I did some searching, but was unable to come up with the first instance in which Alvin used a gun to capture a wanted man in the commission of a crime. It was said to be a home invasion. When I contacted Alvin, he immediately explained why I could not find the incident on the Internet. It was because no story had been written about it. He only did the interview for the second story because the sheriff had asked him to do so, as a crime fighting measure. Surpringingly, it’s not his first citizen’s arrest. A few weeks ago, he interrupted another home invasion and captured a wanted felon. In a rural environment, there are few media outlets. Wonderful stories can go unreported, simply because no reporter is willing to travel to where the story is. People who use firearms to stop crimes are often reluctant to lose their privacy. It is obvious that Alvin's .45 was not purchased on the spur of the moment. 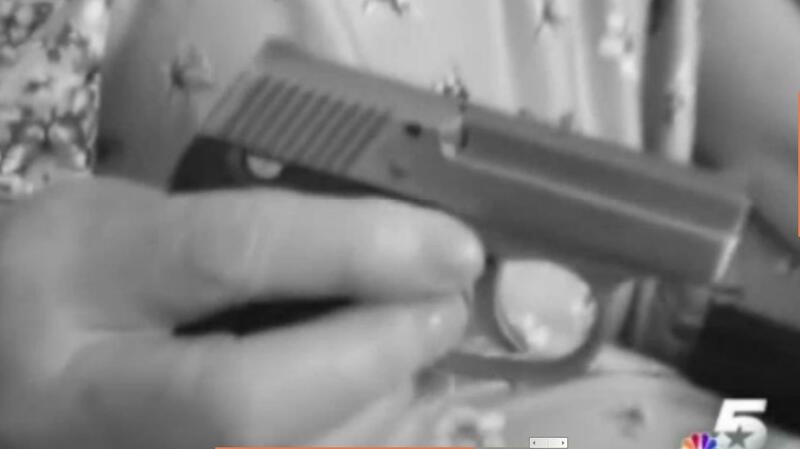 It looks to be a semi-custom pistol, or at least of very high quality. It makes one wonder if Alvin has a concealed carry permit, was in the military, or has shot competition. In both of these cases, no one was killed or shot. The case thus becomes one of the vast majority of defensive gun uses where no shots are fired. 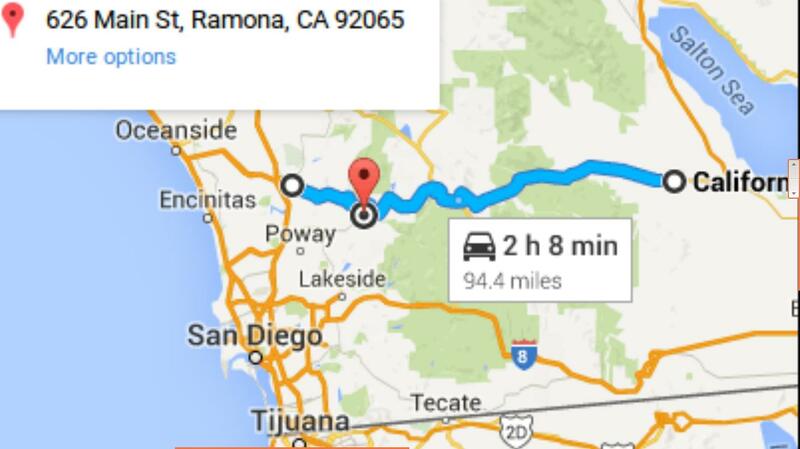 This website gives directions from a number of locations. Here is a link to the website of the organization sponsoring the event. When I talked to Ed, he struck me as a dynamic and motivational speaker. I do not know if I will be able to attend, as I am traveling and have some other responsibilities. If the winds blow right, I may be able to make it. LAURENS COUNTY, S.C. —Three years after Juan Burns, a self-proclaimed neighborhood watch leader, fatally shot his neighbor, a Laurens County jury acquitted him of murder. Burns' murder trial ended Friday with a not guilty verdict. "We were very pleased," Jim Bannister, Burns' attorney, told WYFF. "It was a long time coming, but that's the way the system works." When officers arrived, they met with a woman and her boyfriend. The two said they were walking their dog down the street when a gray pit bull charged and attacked their dog and tried to bite them. The woman then pulled out a gun and shot the dog twice. TAMPA — The robber entered the ABC Liquor store Sunday, pulled a gun and ordered the two clerks to the ground. One of them ignored the command and pulled his own gun. The clerk fired at the robber, police said, but wasn't sure if he hit his target. The robber fired back, just grazing the clerk in the face. Wow. about 1,200 firearms, at say $200 each, and 4,761 magazines, at about $10 each, that is about $300,000 in asset forfeiture. The Reese family certainly was severely mauled, but it was not destroyed. I can see where they settled, but a criminal investigation should be done on the prosecution. The family will get to keep real property including 85 acres with structures in Deming, gold and silver coins, four vehicles and 17 gun safes. A specific condition that “items being released to Claimants shall be in substantially the same condition they were in when they were seized” is the result of previously seized vehicles being returned with damage and missing parts, Rick Reese tells Examiner. Additionally, seized ammunition and powder “not specifically forfeited” will be sold to the public by a designated Federal Firearms Licensee with proceeds less dealer costs going to the Reeses. The Texas licensed open carry bill has passed the third read vote in the House. CERTAIN INVESTIGATORY STOPS AND INQUIRIES PROHIBITED. A peace officer may not make an investigatory stop or other temporary detention to inquire as to whether a person possesses a handgun license solely because the person is carrying a partially or wholly visible handgun carried in a shoulder or belt holster. This is a significant reform, in that it removes from the police the ability to harass open carriers on the pretext that the police need to determine that the carry is lawful. It places the burden of proof on the police, as it should be. It removes the authority of the government to demand "papers" to prove that you are allowed to do what you are peacefully doing. Absent - Dukes; Riddle; Thompson, E.
If a bill is returned to the originating chamber with amendments, the originating chamber can either agree to the amendments or request a conference committee to work out differences between the house version and the senate version. If the amendments are agreed to, the bill is put in final form, signed by the presiding officers, and sent to the governor. Conference committees are composed of five members from each house appointed by the presiding officers. Once the conference committee reaches agreement, a conference committee report is prepared and must be approved by at least three of the five conferees from each house. Conference committee reports are voted on in each house and must be approved or rejected without amendment. If approved by both houses, the bill is signed by the presiding officers and sent to the governor. The bill still has to be agreed to by the Senate or go to a conference committee, and then to the Governor. I do not foresee any surprises on the way to Governor Abbott's desk. A neighbor said he saw the mother and daughter walking down the street toward Martinez's car. Investigators said his father suspected Martinez was armed, so he grabbed his own gun before following his wife and daughter. Witnesses heard two gunshots followed by screams. Investigators said Martinez fired first, then the father fired back and struck him in the chest. The mother was also shot in the hand. Lexington Police say a man who shot an intruder in his home Friday will not be charged. The woman who called authorities said her ex-boyfriend, Jeremy Darnell, 37, was at the residence and refused to leave. Darnell was not at the house when authorities arrived, but Sheriff Graham Atkinson said the man later returned. "Witness stated that Mr. Darnell had returned to the residence after the deputies left on the initial call and was subsequently shot through the storm door by Jamie Burton," the sheriff's office said in a news release issued Friday. "Every citizen shall have the right to bear arms in defence of himself and the republic." "Every citizen shall have the right to keep and bear arms in the lawful defence of himself and the State." 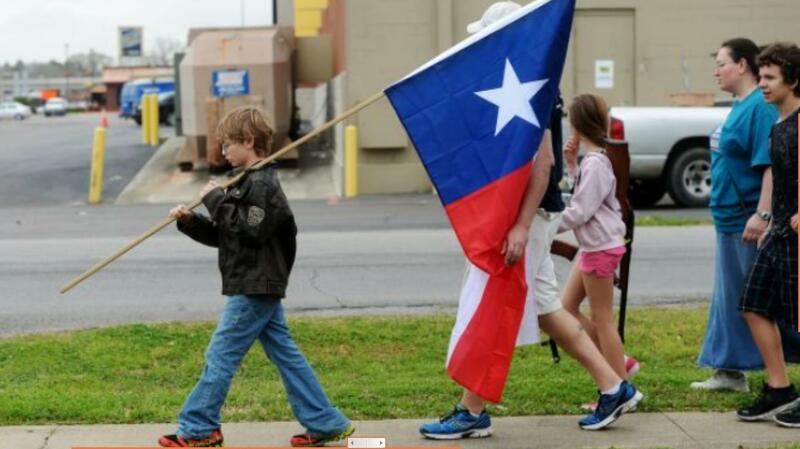 Licensed open carry removes some of the infringements on those rights that Texas accumulated after the Civil War, or War of Northern Aggression, if you prefer. 96 Yeas, 35 Nays, 1 Present, not voting. Yeas — Anderson, C.; Anderson, R.; Ashby; Aycock; Bell; Bohac; Bonnen,D. ; Bonnen, G.; Burkett; Burns; Burrows; Button; Capriglione; Cook; Craddick; Crownover; Cyrier; Dale; Darby; Davis, S.; Elkins; Faircloth; Fallon; Fletcher; Flynn; Frank; Frullo; Galindo; Geren; Goldman; Gonzales; Guillen; Harless; Huberty; Hughes; Hunter; Isaac; Kacal; Keffer; Keough; King, P.; King, S.; King, T.; Klick; Koop; Krause; Kuempel; Landgraf; Larson; Laubenberg; Longoria; Lozano; Metcalf; Meyer; Miller, D.; Miller, R.; Moody; Morrison; Murphy; Murr; Otto; Parker; Paul; Pena; Phelan; Phillips; Pickett; Raney; Raymond; Riddle; Rinaldi; Sanford; Schaefer; Schofield; Schubert; Shaheen; Sheets; Sheffield; Simmons; Simpson; Smith; Spitzer; Springer; Stephenson; Stickland; Thompson, E.; Tinderholt; Turner, E.S. ; VanDeaver; Villalba; White, J.; White,M. ; Workman; Wray; Zedler; Zerwas. Nays — Allen; Alonzo; Anchia; Bernal; Blanco; Canales; Coleman; Collier; Davis, Y.; Deshotel; Dutton; Farias; Farrar; Giddings; Guerra; Howard; Israel; Johnson; Lucio; Martinez; Miles; Munoz; Naishtat; Nevarez; Reynolds; Rodriguez, E.; Rodriguez, J.; Romero; Rose; Thompson, S.; Turner, C.; Turner,S. ; Vo; Walle; Wu. Hernandez; Herrero; King, K.; Leach; Marquez; Martinez Fischer; Oliveira; Paddie; Price; Smithee. Amendment 9 - Passed (Amended Amendment 8 to 750,000) no real effect, as amendment 8 was tabled. It is interesting to note, that while numerous amendments from the Democrates were allowed to be voted on and defeated, the amendment by representative Strickland, that would have make the bill into a constitutional carry bill, was not allowed to be voted on by the full house. There are a few issues that need to be worked out with the Senate. It is expected that no substantive changes will be introduced, and the bill will be sent to Governor Abbot essentially as passed by the House. I have explained in previous articles how someone threatening to punch you is a potentially deadly threat. People sometimes have a preconceived notion that a "fist fight" is not a real threat. Some of this may come from watching television and the movies. Watching them, you can receive the impression that a punch to the head is no big deal. That is not true. A punch to the head is a very serious attack. It can disable. It can maim. It can kill. The head is a vulnerable target, which is why an attacker aims for it. Another source may be a carryover of the "code duello", which was fairly common, even into the late 20th century, and is still practiced in some locations. In this version of the code, a man is invited to "settle differences" outside. Bystanders are recruited to assure that the fight is "fair" in that certain rules are followed. Usually these include: no weapons, no stomping, kicking, eye gouging, or biting. No hitting a person once they are down on the ground. The point is that the fight is controlled, at lest nominally, by impartial parties, and that there are limits. While being questioned by Kelley, Leggett said Bailey approached him with his fists up when he tried to leave the club. Leggett said he had a .38-caliber Smith & Wesson revolver for protection, and had not expected to see Bailey the morning of Dec. 8, 2013. He stated when Bailey came toward him, he did not see any weapons, but did not know if Bailey had anything in his fists. Leggett also said he feared Bailey could knock him unconscious, then take his gun. Another interesting aspect of this case is that it involves a black man shooting and killing an "unarmed" white man. It does not fit the approved template of racism that the old media has been pushing, so it was not pushed to the national stage. In this case, the person shot was only threatening with his fists, and did not actually hit the person who had the gun, as happened in the Treyvon Martin/ George Zimmerman case. The jury found Leggett's defense persuasive, and found him not guilty of first degree murder. I was not on the jury. I did not hear all the evidence in the case, and I believe that we should support jury verdicts. Juries are far from perfect, they are just better than the alternatives. 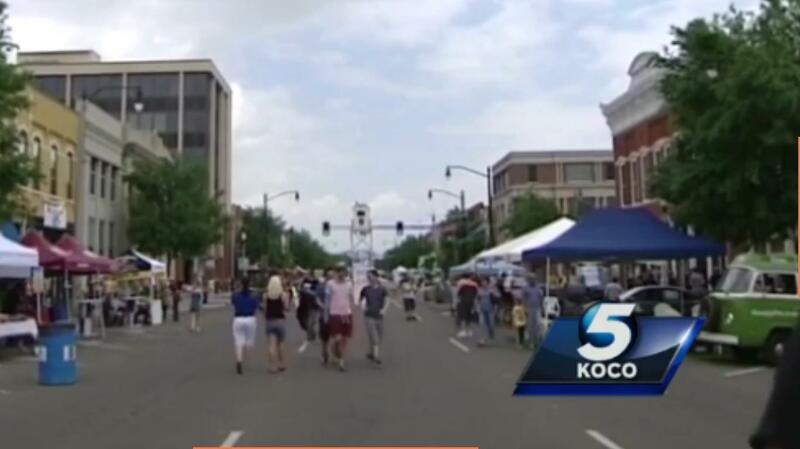 Bateman and Assistant City Attorney Rick Knighton argued that the festival operators essentially lease a three- or four-block area from the city for the special event. By doing so, they become equal to business owners who have a right to ban firearms on their property. Balkman said the city failed to show it has a right to “give away control” of city streets and sidewalks. Balkman said according to the Self Defense Act there are only restrictions for carrying weapons if it’s a structure or building, not sidewalks and streets. The right to bear arms is not only a constitutional right, but also a right in the State of Oklahoma, he said. The judge basically said that you cannot call a rose a turnip in order to violate fundamental rights. The use of language to destroy rights, and the structure of society, is a favored tactic of the left. Orwell had it right. When words mean only what those in power wish them to mean, then the law becomes only a means of enforcing authority. Freedom becomes slavery, and Ignorance becomes strength. It is encouraging that Judge Balkman recognized this in the restraining order, early in the process. The Judge will hear further arguments on the first day of the Music Festival, on whether a permanent injunction will be issued. DELTONA, Fla. — A man walking his dogs in his Deltona neighborhood Friday morning said had a neighbor not come to his rescue, an attack by a dog could have been bad. Nigel Bailey said he was walking his dogs when a large dog attacked. "I hear this patter of feet and there's this great big dog chasing me," Bailey said. Bailey said the dog bit him on the arm and leg. According to Bailey, a neighbor heard him call for help and came out with a revolver and shot the dog. Minutes earlier, he had intervened in a domestic dispute prosecutors say could have left him and his female neighbor dead. Prosecutors ruled he acted in self-defense last year when he wrestled a gun away from Christopher Strong, 27, and shot him with it. None of that was immediately clear the night of Sept. 16. Police found the neighbor performing CPR on Strong when they arrived around 10 p.m. to the South Pine Street apartment where Strong lived with his girlfriend. Strong, shot once in the chest, died at the scene a short time later. Police handcuffed the neighbor, who at one point appeared on the verge of passing out and asked to speak to his pastor, according to police reports. Not certain if the above is the same Brandon Walker from Yakima, but it seems likely. The attacker swung full force for his head. The gun was carried "open Carry"
It was a 357 sig We think this person was trying to get the handgun by knockout hitting him in the head with a aluminum bat. He side stepped the blow and took the impact in the neck and shoulder he is receiving Dr.s treatment. He thanks god that no one else was hurt and that he did not have to use lethal force. I was in law enforcement and during my academy training my son helped me study he knew how to safely defend himself and his family lawfully. Hopefully this attacker will not be released to hurt other people. It is not clear that the attacker was after his firearm, though that might be the case. It appears that as Zumwalt was only 20 years old, he could not legally buy a handgun from a dealer. It does not appear that he was a convicted felon, only that he had a misdemeanor conviction for assault. Though it may be that we was after the pistol, that is a very unusual situation in the United States. It often happens in countries where firearms are difficult to obtain legally. I suspect that the attacker in this case has severe mental problems. It should not be too difficult to find out. He was said to be homeless, 20 years old, and the previous conviction for misdemeanor assault was in municipal court. The case is even more peculiar as Zumwalt is only 5'6", while Walker is 6' 1" and 360 lbs, a big man. I have not found any mug shots of Trevor Zumwalt. The above is the only Trevor Zumwalt that I have found on facebook in the Yakima area. 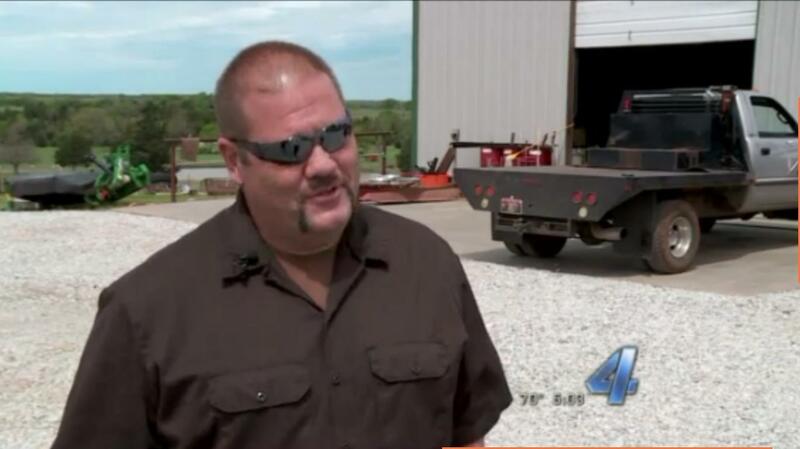 BearingArms has reported that a friend of Zumwalt said that he has a long history of mental problems. Investigators say 35-year-old Chris Wehunt broke into the home in the Moon Lake community early Wednesday and attacked a man who lived there. During the attack, the resident shot Wehunt multiple times. ALTUS, Okla._Altus police are investigating after a business owner and a suspected burglar shot at each other when the owner spotted him in his business. It happened around 12:30 a.m. Wednesday at La Munyon's on the corner of West Pecan Street and South Main Street. Police say the business owner told them he was resting in a back room, heard a noise and grabbed his gun. He said he saw a man in a hoodie, who shot at him. The owner fired back, but the man got away. No one appeared to have been hit. 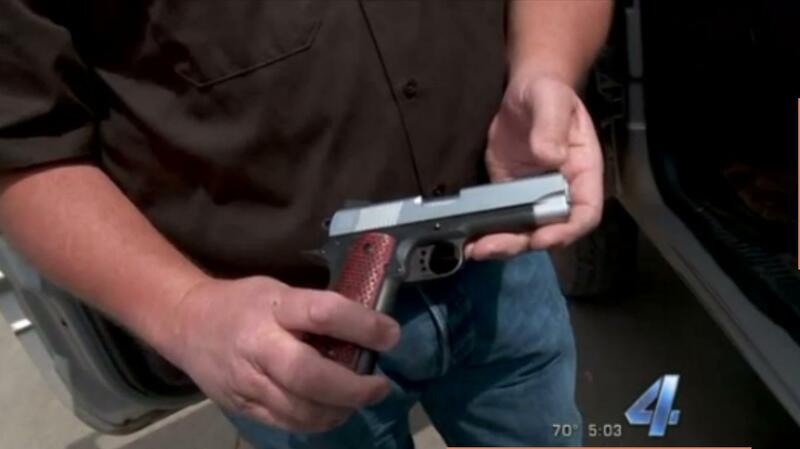 A Five-Seven pistol was successfully used for self defense in Arkansas on April 13, 2015. More than 20 rounds were fired, 20 of them being fired by a permit holder armed with what appears to be an FN 5.7 pistol. The casing on the left is being held by Henry Richards, who witnessed some of the gunfight. If you look at the casing closely, it is clear that it is a 5.7. The identifying characteristics are the rimless base shown by the extractor groove on the bottom, and the beginning of the bottleneck shown at the top. An additional indicator is that the magazine capacity was 20, standard with the FN pistol. The pistol, developed by FN Herstal in Belgium, has become popular in the United States for its low recoil and flat shooting cartridge and 20 shot capacity in a pistol that only weighs 26 ounces. Conway Police say 34-year-old James Allen was the victim of an attempted armed robbery outside a home on Joyner Drive. Allen didn't want to speak on camera but told THV11 he was walking to his car when two men approached him demanding money. When he reached for his gun they shot first. He returned fire and starting running away. According to a police report Allen fired more than 20 rounds in the middle of the street. In the screenshot below, Henry Richards illustrates how his neighbor, James Allen, retreated down the street, firing as he ran. He is said to have fired the complete magazine of 20 rounds. Notice that the end of the street is a heavily wooded tree line. The 5.7 is also noted for losing energy quickly, due to its light weight bullets. Only two of the bullets appear to have caused any collateral damage, and the damage was slight. One bullet hit a garage, the other struck Allen's own car. One of the bullets struck a garage and the other struck Allen's car. A Conway police spokesman says they don't have any suspects right now. Allen did provide a concealed carry permit to police and is not facing any charges. Richards knows Allen, and showed how Allen was firing. Richards believed the shooting to be justified. I do not recall a single criminal use of artillery in the United States, by someone outside of the government. Interesting issue ... and here I'm referring to shotguns which were originally made with a rear pistol grip in place of a buttstock. Under the Gun Control Act, the issue seems simple: they are pistols. Very big pistols, but pistols. Thus they have been treated, and sold in large numbers over quite a few years. The National Firearms Act, however, poses a problem. Under it, they are not shotguns, since the definition of "shotgun" includes "designed to be fired from the shoulder." 26 U.S.C. §5845(f). The problem is posed by a different part of the NFA, created when it was amended in 1968. Those amendments created a class of firearms designated "destructive devices," and really aimed at artillery pieces. As you might expect, these were VERY tightly regulated, nevermind that criminal use of artillery wasn't exactly a big problem. Both men acted with poor judgment, in my opinion. Here is a previous article. Prosecutors will not seek a third trial of Bernell Benn, whose two previous trials for a 2012 fatal shooting in a Norfolk drug store ended in hung juries. Charges against Benn have been dropped, said Amanda Howie, spokeswoman for Commonwealth’s Attorney Greg Underwood. Orlando police say a homeowner shot a suspected burglar after the man broke into his home early Wednesday morning. Police say the suspect entered the apartment home on Lucerne Trail around 12:50 a.m.
YAKIMA, Wash. — A 32-year-old man who was shopping with at least three children at a Yakima Wal-Mart was the victim of an unprovoked assault when a stranger picked up a metal tee-ball bat and struck him, according to Yakima police. The victim, who police said has had a concealed pistol license since March 2013, then pulled a .357 Sig Sauer pistol from a holster and pointed it at the suspect, the affidavit said. They rushed to the location and found a woman who reported that she was entering her vehicle to head to work when two men approached her. She said one man held an unspecified object to her head, grabbed her hair and directed her to drop her purse, Weldon said in the release. "As she and the suspect walked to the backyard, they fell to the ground and she retrieved a gun from the small of her back and fired at the suspects," the police chief said. The Tennessee governor’s mansion is occupied by a Republican, and the GOP owns supermajorities in both the House and Senate. The result has been a wave of pro-gun measures, including a “Guns in Parking Lots” law approved in 2013 that gives employees the legal right to store a firearm inside personal vehicles even if it’s against an employer’s inclinations. The move was a good one; the problem is that “an attorney general’s opinion later found that while the law decriminalized the actions of those who ignored posted gun bans on private property, employers could still terminate workers for violating company firearms policies,” explains WTVC News Channel 9. Last week, the legislature passed and Gov. 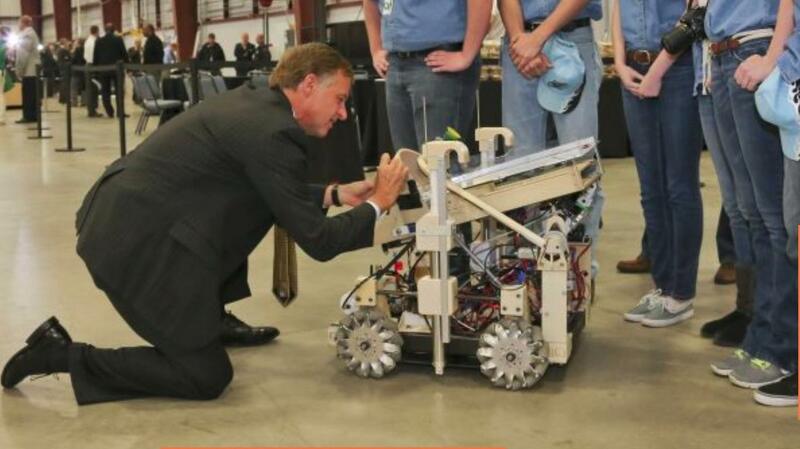 Bill Haslam signed a fix that allows fired persons the ability to take legal action. Now, even some Republicans contend the new law infringes on employers' rights. But that’s misguided — businesses still have the right to ban firearms, but vehicles don’t belong to the employer. As Hot Air blogger Jazz Shaw concludes, “This law seems to me to have been a good compromise. The employer can bar carrying weapons in the workplace, but the employee’s car is not the workplace. And punishing them for such storage is an unreasonable burden on their constitutional rights.” Tennessee hit the bull’s-eye on this one. Late Thursday, Governor Phil Bryant (R) signed Senate Bill 2394, a bill prioritized for passage by Lt. Governor Tate Reeves and sponsored by Sen. Terry Burton (R), and Senate Bill 2619, sponsored by Sen. Haskins Montgomery (D), into law. These two measures make critical pro-Second Amendment reforms, including a clarification that a state-issued permit is not necessary to transport a loaded or unloaded pistol or revolver in a purse, handbag, satchel, other similar bag or briefcase or fully enclosed case. I call this 90% constitutional carry because that is the effect. Want to carry a concealed handgun, and do not want to pay a tax to do it? Simple. Put your pistol in a purse or a camera case, a full flap holster, a tablet or cell phone type holster as shown in the Sneaky Pete holster above, put it in a backpack, fanny pack, gym bag, courier case, or just about anything else that "fully encloses" it, and you would be legal under the new law. I think a decent lawyer could make a good "case" that a full flap pocket would qualify. It is hard to see how full constitutional carry reform would not pass the next session or two. The functional difference is so small as to be one of a few minutes preparation and intent. Perhaps the next step would be to include virtually all holsters as meeting the definition of a "fully enclosed case" even if they are open topped inside the waist band types. One of the characteristics of armed criminals is an aversion to holsters of all types. There are a couple of good reasons for this. First, holsters are usually attached to a belt, and are harder to get rid of in a hurry if the gun has to be disposed of. Second, they indicate a degree of foresight and preparation that most common criminals simply do not have. The requirement to carry a handgun in a holster, rather more securely than simply stuffed in a waist band, is not entirely unreasonable. Of the extremely rare accidents that occur with concealed carry permitees, a couple have been that of mini-revolvers dropping out of pockets and landing on their hammers. They are one of the very few designs left where that is possible, and then only if they are carried with the hammer resting on a cartridge primer, which should not be done. So, do we call Mississippi a constitutional carry state, or not? I think we should go with the 'preponderance of the evidence' and call it constitutional carry. It will not be too hard to design an under the shirt holster that will meet the definition in the law. If you insist on tucking the handgun into your waistband, put it inside a shopping bag first. That would be a bit slower on the draw, but would appear to meet the legal requirement. If you want pocket carry without a permit, I recommend a cloth or leather case that encloses the pistol, the top of which snaps to each side of the pocket. Then you can access the pistol as easily as you could from a pocket, with the added advantage of more protection for the pocket and the pistol. Pistol packers in the old west often reinforced their pockets with light leather. This would be a variation. There are some other features in the new law as well. Concealed carry permit fees are cut, from $100 to $80. Active duty members of the Armed Forces of the U.S. will be exempt from the fees. The renewal fee is cut to $40, again, exempting retired LEOs, disabled vets and active duty members of the Armed Forces. Mississippi residents 65 or older have their renewal fee cut to $20. It appears to me that with the addition of Kansas and Mississippi, the constitutional carry states have just jumped from five to seven. I have seen families torn apart by issues involving end of life of the parents. This is an extreme case. She then entered the house and fired multiple rounds. Hunter retreated to a bedroom, where he had a shotgun, and confronted Glacken in the kitchen, according to the release. Glacken raised her handgun toward him, and Hunter shot first, killing Glacken, police said. The responding deputy said Hunter, a friend, had texted him informing him of the shooting. The deputy called 911 and arrived at the home to find Glacken dead. Hunter and his wife, who was not identified by police, live with and care for the siblings’ mother, who is seriously ill, police indicated in the release. "What the man yelled when he got out of the car is that my son had cut him off in traffic," said Catlett. Things quickly got out of control. Catlett said Johnson had what appeared to be a gun in his hand. "He immediately attacked and hit my son with the gun," said Catlett. "I fired a warning shot to let him know that this was serious and we immediately tackled him to the ground got the gun away from him and told him it was over and to leave and instead he went to his car and got a hammer." When Catlett saw the hammer come at him and his son, he said he fired his gun again and this time he shot Johnson. "My life was in danger, my son's life was in danger," said Catlett. The resident, a 37-year-old woman, told police three men kicked in the front door, awakening her. One of the men came into her bedroom, put a gun to her head and raped her while the other two ransacked the home. The two men left, but the robber assaulting her began beating her in the head with the gun and demanding money. The woman told her attacker that a neighbor down the street kept all her money. The robber then forced the woman down the street to the neighbor's home on South 21st Street, the woman told police. The neighbor fired one round at the offender, hitting him in the chest. The gunman ran a short distance, collapsed and died. They said Hitchins approached them and without provocation pulled out a handgun. They said the man struck one of them in the head, possibly with the gun. Once that occurred, the victim who was assaulted pulled out a handgun and fired several shots at the man, striking Hitchins at least once. Pontotoc County Sheriff John Christian said the incident occurred when a man went to the home of his ex-girlfriend, where she resided with the father of her children. The two men scuffled and the father of her children allegedly shot and killed the man. Christian said the woman had left the man the day before and returned to the father of her children. Police say a resident at the complex heard some noises coming from outside his bedroom window and went outside with a weapon to investigate. He spotted two men standing by the window and fired several shots at them. One of the suspects was hit. The other took off. I arrived at the NRA Annual Meeting in Nashville late on Thursday, the 9th of April, so I was able to get to the press room only a little after they opened on Friday morning. Mike Vanderboegh was there. I had met Mike a couple of years ago. He looked and acted a lot healthier than he had in Houston in 2013, and he did not have to use a wheel chair. He is someone who I have admired ever since I learned of his activities and the Sipsey Street Irregulars a few years ago. I do not count attending the open carry event across the river from D.C. on April 19, 2010, at the 'Restore the Constitution Rally', as a meeting, as I do not recall talking to Mike at that time. He was a featured speaker at that event. A lot of water has flowed down the Potomac since then. That was before Mike and David Codrea broke the Fast and Furious story. Mike was breaking another story at the NRA meeting. He considers this one to be just as important, in a different way, than the Fast and Furious story. The details of the story involve a secret deal involving the NRA, the Congressional leadership, and the BATF. The point, as explained by Mike, was to extricate the BATF from a regulatory corner that they had painted themselves into. The NRA would be able to claim that they had 'rescued' millions of law abiding gun owners from being instant felons, and the item that had the disarmists from both parties salivating was a 'tweak' to the sporting purposes language that would grant much more power to the BATF to ban items at will. The deal was to introduce the 'tweak' as language in a rider to a must pass bill, get it passed without fanfare or debate, then declare victory all around. It was most important that this be done in secret, because the 'sporting purposes' tweak would not bear close inspection. Mike and I have a lot in common, and we hit it off. I spent quite a bit of time with him at the NRA meeting, and I am convinced that he has credible sources to back up the claims in the article. I could not help but overhear fragments of his phone conversations. As to be expected with events of this political sensitivity, he has to be very careful not to reveal who he is getting information from. Mike wanted to get the NRA on record about the story, even if it was "no comment". He asked me if I had a device that could take video. I had a couple, and we tested my trusty Sony to see if we could easily transfer video files. I use it almost exclusively for still shots, but I had done a couple of videos over the years. We could make it work, but the camera has a timed shut off, so we could not leave it on all the time. When the opportunity popped up, Mike and I were walking toward an exit. We went by Chris Cox and his entourage. This was too good an opportunity to pass up. I took off the lens cap, powered up the camera, and missed the opening remarks. I would have loved to get a picture of Mike shaking Chris Cox' hand, but I was not fast enough. Fortunately, I got the video going and the pair pretty well centered long enough to get the main thrust of the action. Thank you for contacting NRA-ILA regarding recent negotiations between the National Rifle Association and the BATFE. The NRA-ILA is not sure where this internet rumor started or by whom, but it is completely untrue. I have attached the NRA-ILA sign up for legislative alerts. This is the best way to stay informed of the legislative activity within the NRA-ILA. 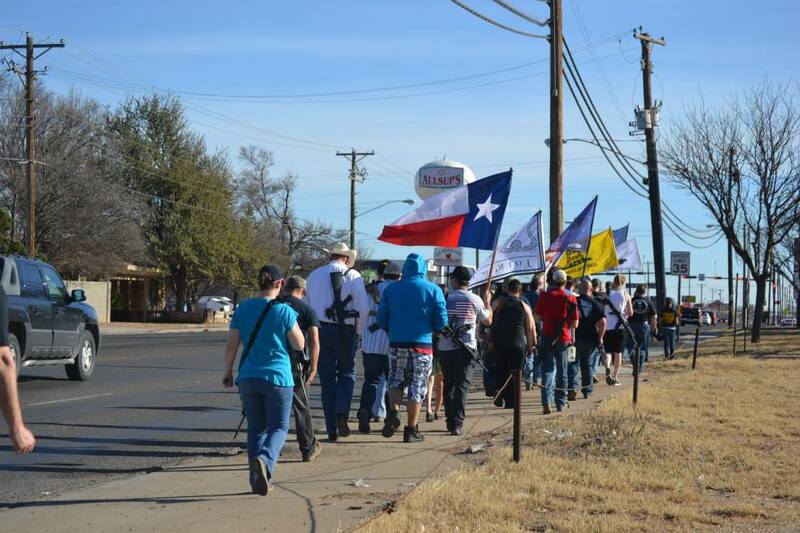 We will continue to fight for your 2nd Amendment rights day in and day out. Last week, a secret deal involving the National Rifle Association lobbying arm and brokered by politicians of both national political parties was struck in Washington DC that would save the ATF from the political and legal consequences of its own regulatory errors. The wording is precise. We have Chris Cox on video admitting that he read the article, and "categorically denying it". It is hard to see where the "internet rumor" language comes from. The NRA did good work in stopping the "background check" legislation. They need to learn that you cannot keep membership by playing these word games. You have to play it straight. The new media is unforgiving of falsehoods. Probably 70 percent of the people walking about have recording devices on them at any given time. The article should be enough for them to investigate and clean house, if they need too. And I do not mean firing a few people that they suspect might be sources for those intrepid investigative reporters, Mike Vanderboegh and David Codrea. Significant Picture Placement at the NRA Meeting?